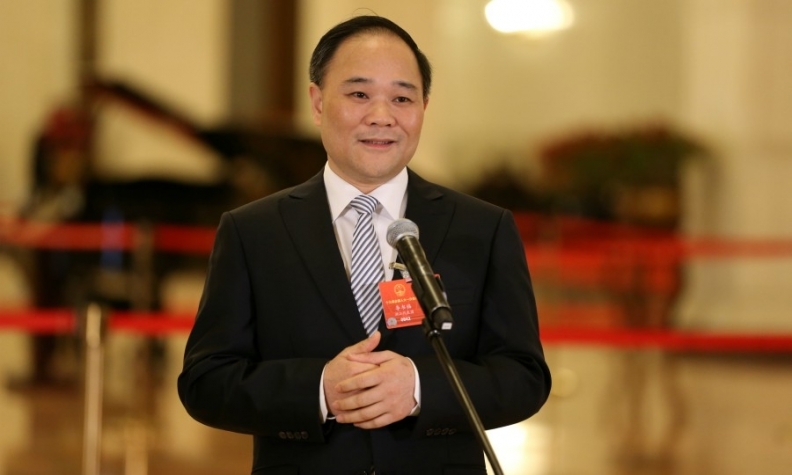 Li Shufu, founder of Geely and owner of Volvo Cars, acquired 9.69% of Daimler in February. FRANKFURT/BERLIN -- German markets regulator BaFin is reviewing whether to impose fines after it found that transactions to buy a 9.69 percent stake in Daimler on behalf of Li Shufu, chairman of Chinese automaker Geely, should have been disclosed earlier. Li disclosed on February 23 that he had amassed a $9 billion investment in the German automaker using banks, shell companies and derivatives, prompting questions in Berlin political circles about the adequacy of German disclosure rules. Li, who controls Volvo Cars, revealed he had control over almost 10 percent in rival Daimler, parent company of luxury brand Mercedes-Benz, even though German rules require investors to reveal if their stake exceeds the 3 percent, 5 percent and 10 percent thresholds. "Voting rights disclosures by Shufu to Daimler should have been reported on February 22," BaFin said in a statement on Saturday. The regulatory disclosures have since been amended to reflect the earlier date of February 22 rather than February 23, BaFin said. "Whether this could also be relevant in regard to fines, is something we are looking at," BaFin said, adding that the maximum fine to be paid by private individuals who violate disclosure rules could be two million euros, and for companies 10 million euros, or 5 percent of annual revenue. As part of the Geely deal, German regulator BaFin asked Morgan Stanley to correct a disclosure filing, according to letter from Germany's finance ministry, which was seen by Reuters. Germany's finance ministry, which oversees BaFin, declined to comment on this specific case. Investment bank Morgan Stanley, which held Daimler voting rights that would later pass on to Li, has amended its disclosure filing to reflect the new date, the letter said. A spokeswoman for Morgan Stanley on Saturday declined to comment. Frankfurter Allgemeine Zeitung was first to report the existence of the letter. Morgan Stanley was part of a group of banks which helped Geely's chairman buy a stake in Daimler in a way which helped avoid early disclosure. BaFin is now investigating whether Li broke disclosure rules. Geely on Saturday said it had informed markets in a timely fashion. "The capital market was at all times informed about the correct number of voting rights," Geely said in a statement. "However, BaFin has asked Geely to make an additional disclosure for 22 February 2018 based on a new interpretation of the legal provisions by BaFin which was published for the first time on 9 May 2018," Geely said. Reuters reported on February 6 that Geely had bought Daimler shares and was intent on building a stake after being rebuffed by Daimler in late 2017. BaFin at the time said the stake would have to be disclosed if it was bigger than 3 percent. Reuters later revealed that Geely had been building the stake over a period of months. Elisabeth Roegele, BaFin's chief executive director of securities supervision, told Reuters that BaFin was reviewing a request for information about the size of Geely's Daimler stake made by Reuters in the first week of February.